Depends on year and model, some car models are not available. This review is about item#39233065. The harness was also attached and it was perfect. The instructions were also easy to see. This review is about item#39233284. Hazard mounting holes did not match, but others were satisfactory products. It was speedy from order to delivery. This review is about item#39233232. I used it to attach 2 DIN size car audio to step wagon (RF 3). 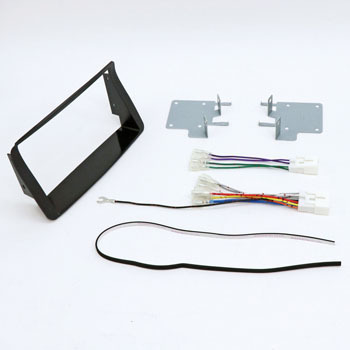 It was convenient because the outer frame and conversion connector were set. The frame was also accurate in size and fitted cleanly without gaps. This review is about item#39232733. A cable corresponding to the original steering wheel follows. Although it is somewhat extra in car models that are not used, As one piece of parts comes along, it is recommended. This review is about item#39233372. The gap is big unexpectedly. I feel uncomfortable without painting. This review is about item#39232496. The product arrives quickly, it is fast, easy to install and satisfied. This review is about item#39232435. I could use it normally. Kit is convenient and saved. It is still better if there is a sponge for vibration isolation. This review is about item#39232803. I think that it is very good though it is used repeatedly several times. This review is about item#39233345. It may be a problem with the vehicle (MH 22 S), when installing, the left side slightly floats.